Reporter: Mr. Kay. Michael, right? Reporter: So, Michael, I understand you saw the break-in last night? Michael: Break-in? I saw this chick running down the street, and she was all bloody and stuff, like she’d been shot. And first she shot up the Sullivan Building, then she ran across the street to the Kalman. And, like I told the cops, it looked like she had a door code for the Kalman. Reporter: And what happened next? Michael: Well, I couldn’t see much. My office looks down on the street on the same side as the Kalman. But I did see these ninja looking dudes, and they were chasing her with dogs, man. Big **expletive deleted** dogs. Michael: Big **expletive deleted** dogs, lady. Like I’ve never seen before. Anyway, after that there was a bunch of gunshots, and then I saw one guy run away, like, back the way they came. Michael: Well, I can’t say for sure, but . . . I have a friend over in the Kalman, and (Michael looked around suspiciously at this point) the cops over there are saying that the Kalman Guardian is missing, that it just disappeared. Like maybe that woman stole it. Reporter: The guardian. Okay, I’m being told the police are about to make a statement. Back to you, Chuck. 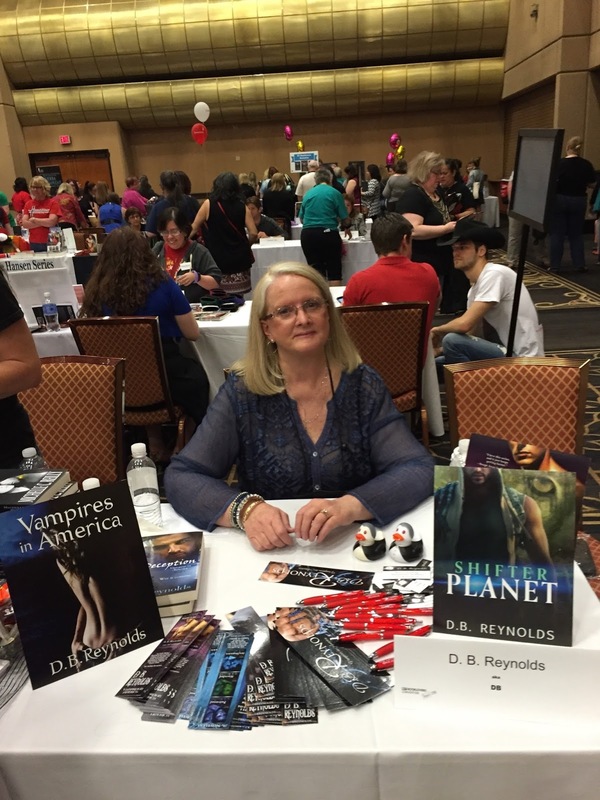 D. B. Reynolds is the RT Award-winning author of the Vampires in America series of paranormal romance, and an Emmy-nominated television sound editor. She lives with her husband of many years in a flammable canyon near Los Angeles, and when she’s not writing her own books, she can usually be found reading someone else’s. 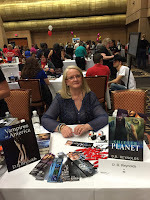 Visit her blog at www.dbreynolds.com for details on all of her books, for free stories and more.